Octopus Investments has raised £130m for the Commercial Real Estate Debt Fund. The fund will be managed by Dragonfly Property Finance. Dragonfly, launched just five years ago, has already lent in excess of GBP1 billion. 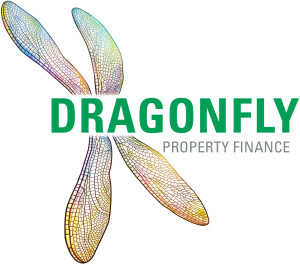 The GBP130 million fund will provide Dragonfly with considerable financial firepower as it continues to lend to commercial property investors. Funding has been provided by Octopus and a broad range of third-party institutional investors. These investors include a leading European family office and a number of pension funds. The UK’s commercial property sector has performed increasingly well in recent months, with rental and capital growth benefiting from the wider economic recovery. However, traditional lenders have maintained the highly conservative lending policies they adopted in the wake of the financial crisis, leaving many entrepreneurs struggling to access finance. As with residential bridging finance, Dragonfly will take a first legal charge on the commercial properties against which the loans are secured. Over the last 5 years the number of lender offering residential bridging finance has increased several-fold, however only a smaller number have offered commercial bridging loans. This has meant the market was less competitive, hence rates were higher and LTV percentages were lower. Lenders who offered large bridging loans on residential properties were less willing to offer commercial bridging loans of scale. This new fund which will be managed by Dragonfly now offers large commercial bridging finance and as such will be welcome news in the marketplace. Vision Finance continue to work closely with Dragonfly on both residential, commercial, and development projects. Please speak to one of our advisors on 0207 206 2500 to discuss financing options for your next project.